Available with four petrol and three diesel options. Following an online reveal last month, the 2015 Skoda Fabia has entered series production at the carmaker's main plant in Mlada Boleslav, Czech Republic. 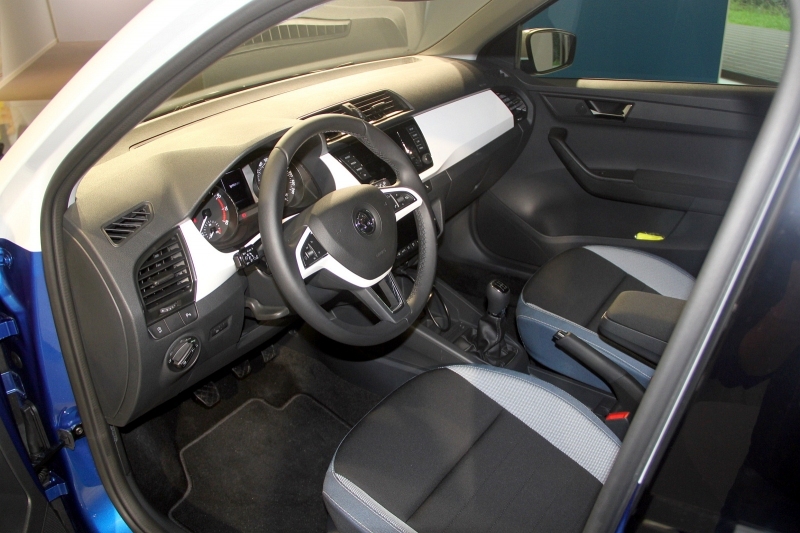 The Czech media got to experience the new hatchback, and following are detailed images of the car. Roofs, rims and exterior mirrors can be customized with 15 colour options. 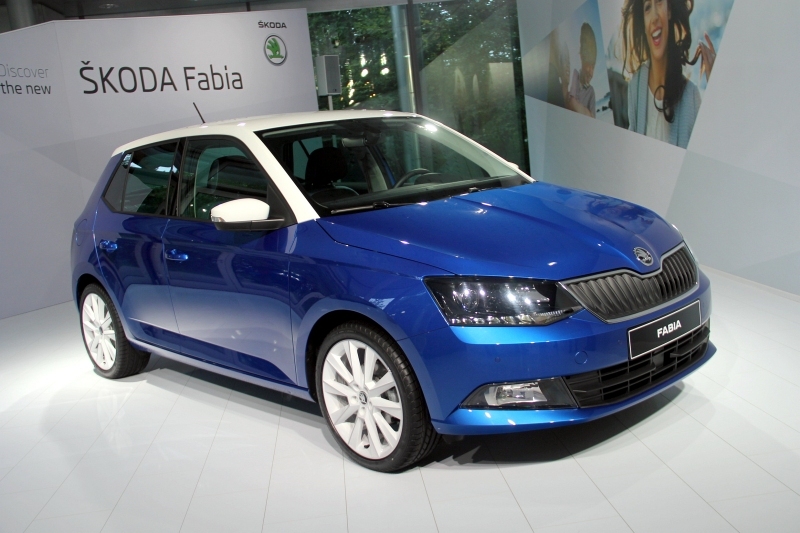 The new gen Fabia is available with four petrol engine options and three diesel. Starting the range is a 1.0-liter three-cylinder MPI producing 60 bhp and 95 Nm of torque, and the same engine can be had with 75 bhp as well. The 1.0-liter motor, which is taken from the VW Up!, is matched to a 5-speed manual transmission. The 1.2-liter TSI produces 90 bhp and 160 Nm of torque and comes with a 5-speed manual gearbox. The same engine is also available with 110 bhp and 175 Nm of torque with a 7-speed dual-clutch transmission. The Fabia gets Skoda's new MirrorLink system. The interior room has improved despite 8 mm shorter overall length. All diesel variants of the car are powered by a new 1.4-liter three-cylinder engine. The engine is available in varying power states of 75 bhp, 90 bhp and 105 bhp, but all options come with a 5-speed manual only. 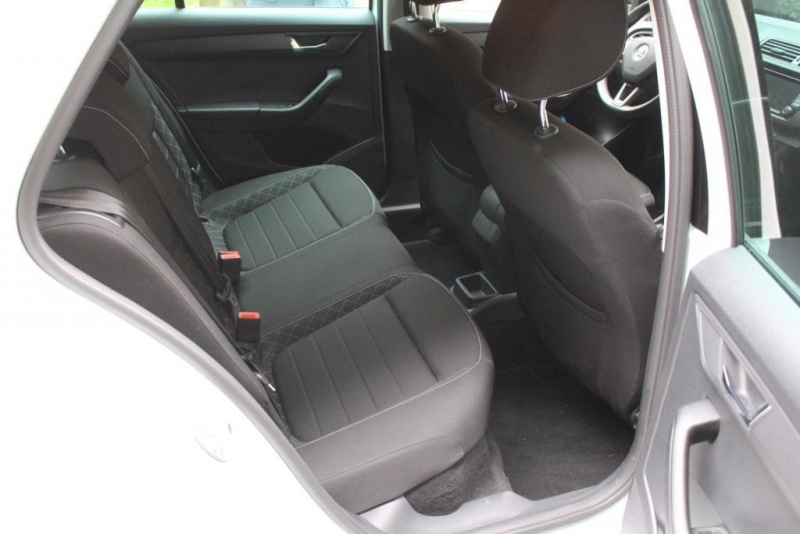 Interior features on the new Fabia include seven bottle holders, SmartGate system which allows vehicle data transfer to smartphones, MirrorLink infotainment system that allows the driver's mobile phone apps to be displayed on the car's screen, and 330 liters of boot space with a 2 cm wider entrance. The wheelbase has increased by 8 mm compared to the previous generation. The new Fabia is announced to have its public premiere at the Paris Motor Show early next month.